September 11 deeply affected our country, but for Zachary Green, Founder and CEO of MN8 Foxfire®, it was the inspiration for creating his business. 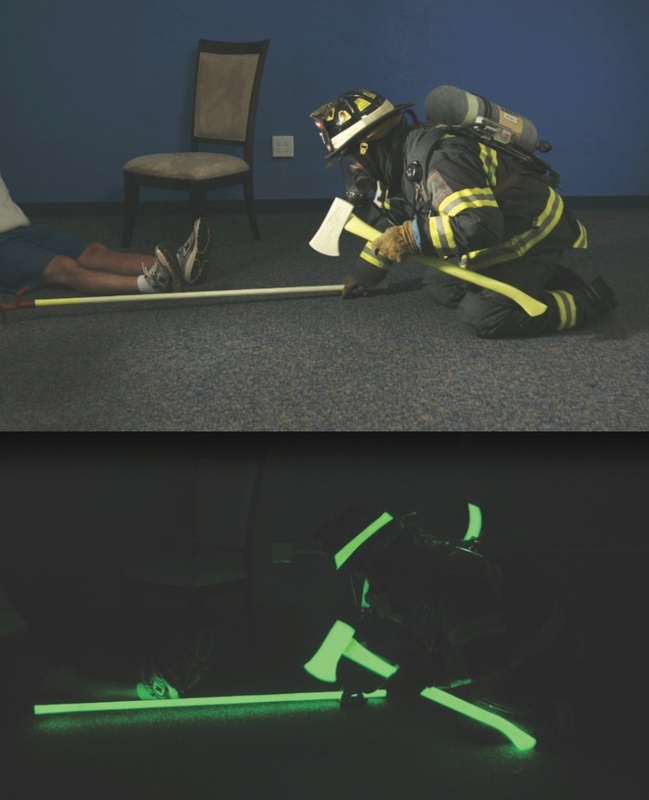 Foxfire is a company that sells photoluminescent products—glow-in-the-dark exit signs and firefighter equipment—to keep firefighters safe by providing dependable visibility in dangerous situations. Like many entrepreneurs with military experience, Zach can attribute his greatest lessons in business ownership to his time in the Marine Corps. As a kid, Zach dreamed of becoming a Marine. When he shared his dream with his family of lawyers and musicians, they were anything but thrilled. Hot-headed, young and proud, Zach left for training at Parris Island anyway. Zach struggled in basic training. Everyone in the military starts out even, regardless of background. That was debilitating and tough for Zach—he wasn’t as good as he thought. It also didn’t help that his drill sergeants were honing in on him and breaking him down. His military training taught him a tenacity for pushing through any opposition. Zach ended up graduating at a decent position in the class. When Zach met his wife, he left the military. A couple years went by and he missed the thrill, adventure and action of being in the field. Zach figured the next best option was to join the volunteer fire department. That devotion to the brotherhood, coupled with his remembrance of 9/11, inspired Zach to use the photoluminescent technology he had recently discovered and channel it into creating products that kept his fellow firefighters safe. MN8 Foxfire was founded in 2010. Foxfire’s motto is by firefighters for firefighters and those we protect. “When I get an email from a firefighter that says, ‘a little while back I was in a situation that if that glow-in-the-dark technology hadn’t been there, I may not have survived—your product made all the difference in the world.’ Those stories are the inspiration for what we do,” Zach said. Challenges abound in small business, as Foxfire experiences daily. The greatest one for the team is marketing a product that’s never previously existed. Driving a company forward comes with personal challenges as well. Zach had an epiphany a while back that he was holding the company back because he had exceeded his “span of control." In the military, accomplishing the mission comes before personal and troop welfare—even if you die, the mission has to move forward. So Zach stepped down from his role as president and hired an experienced Chief Operating Officer. “Stepping down was the best decision I made,” he said. As CEO, Zach can now focus on selling his product and educating firefighters. Zach would not be dissuaded. He knew he had more to offer and that a firefighter and Marine could do anything he put his mind to. Five years ago, Foxfire was just an idea. Today, the company has more than 60,000 firefighters using the product in 25 countries. One of the proudest moments of Zach’s career happened a few of months ago: There was an update on the national news about a window washer that was stranded outside of the 80-somethingth floor of the World Trade Center Towers. The New York City Fire Department was up there rescuing him and you could see the Foxfire products on their helmets. To learn more about MN8 Foxfire®, visit their website at www.mn8foxfire.com.